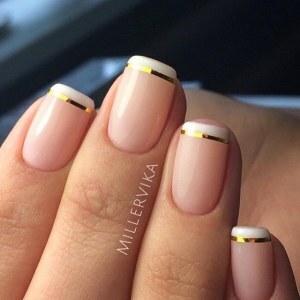 Great nail design idea in this photo: white french manicure with gold stripes. 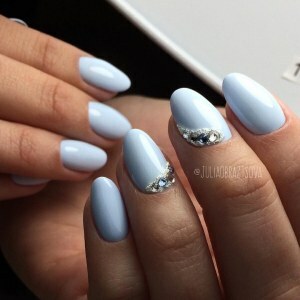 The stylish blue oval nails. 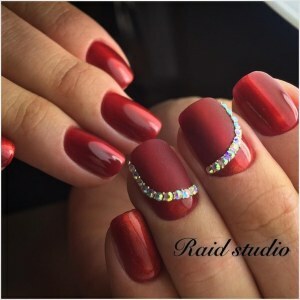 Excellent idea: two-color manicures, velvet effect. Brown french manicure with rhinestones on the index finger. 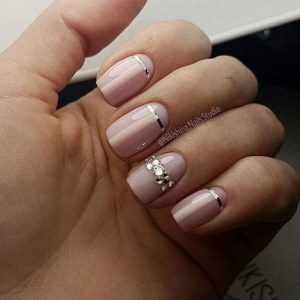 Cool and simple nail art idea: the combination of pink and white gel coatings. The final touch - a little rhinestones on the ring finger.